If you are here because you are being bullied then I’m sorry for what you are going through. The experience can be traumatic for adults like it frequently is for children. Please know that you are not alone and there is hope. This isn’t your fault, at all. Bullying has gotten a lot of attention in the main stream media recently. 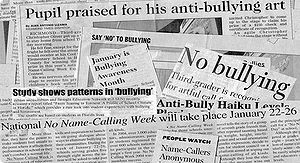 Primarily, the attention has been on bullying in schools and on college campuses. But, our rates of bullying in workplaces are comparable to the statistics of bullying in schools and universities. The reason that we have this pandemic problem with bullying in schools and on campuses is because we are a society of adults who ignore and partake in bullying and victim blaming. The problem isn’t the children. The most common motive for sexual harassment is professional jealousy. It’s one of the most common motives for workplace abuse, or bullying, also. When I had just turned thirty a manager became threatened by me professionally.. What he did to me was a combination of bullying and harassment. This happened to me at an extremely reputable firm in one of the most progressive cities in the world. Everyone on the management team had reasonable knowledge of the abuse. It isn’t my opinion that it’s a company’s responsibility to handle sexual harassment if they have reasonable knowledge of it, its law. Instead of adhering to law they actively damaged my reputation. Unfortunately, it is common for the target or victims reputation to be more badly damaged than the perpetrators. Mobbing is bullying by a group. Often, one bully starts the abuse but many others partake. It’s common for bullying by a group and victim blaming to be interwoven. While this was happening to me it was apparent that every party involved counted on my silence. Then I was surprised by that. When I learned that settlements are typically contingent on the victim or survivors silence it made more sense. When I learned that if a target of harassment or bullying tells the truth about what happened then they open themselves to a liable or slander suit it made even more sense. It’s impossible that the mainstream media could cover all instances of harassment or workplace bullyingbecause there are so many of them. Most people don’t want to wait five years for a court date. As long as survivors and victims remain silent these types of abuse will continue to be common place. According to the Harvard Business Review blog we can’t get workplace abuse under control without creating accountability for the bullies. This model is effective at creating accountability without exposing me legally. Frequently individuals remain silent out of fear of retaliation by a large company and fear of damaging future employment opportunities. This model would be as effective under a pseudonym as it is under a real name. Unless the main stream media is involved then PR is unlikely to get involved. My goal here is creating a model that the average individual can use in order to have a voice. It’s effective at holding workplace bullies accountable for their abusive behavior. It’s effective at holding the company responsible for neglect. It’s effective at stopping mobbing, or bullying by a group, and victim blaming. It’s effective at correcting unjust damage to a victim’s reputation. This model makes it safer for individuals to speak! With workplace bullying and sexual harassment silence is the norm. As long as silence is the norm these types of abuse will continue to remain common place.